My sister-in-law called me one day while I was in last season’s crop bed diligently pulling weeds by hand. What started off being a girl talk session ended up being the inspiration for my first installment of Backyard Theology and my first tangible affirmation of what being still and listening for that quiet inner voice is all about.No matter how you garden, you’re going to have to deal with weeds … even if your garden consists solely of containers filled with sterile potting soil and top notch specimen plants. 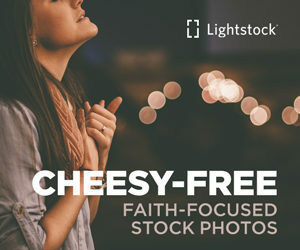 Rest assured. 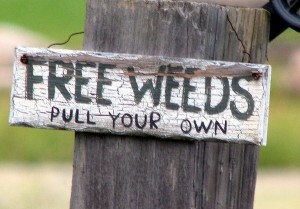 We all have to deal with weeds, no matter who we are or how we garden. 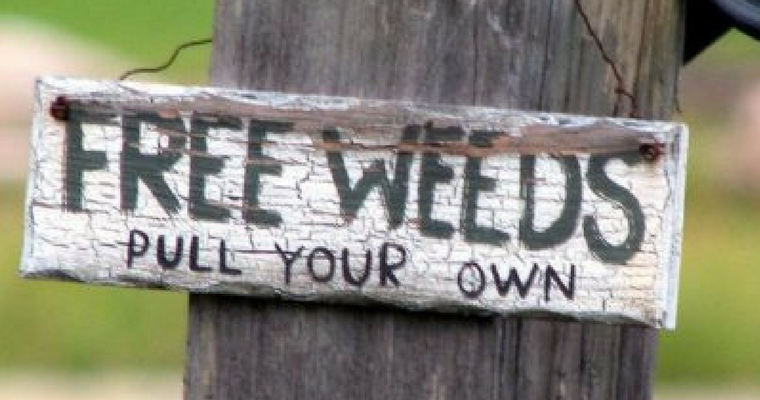 Now, there are multiple ways of dealing with those weeds. You can use a scruff hoe and scrape their tops off, you can try mulching with various products and/or using various gardening fabrics, you can dig at them, or you can pull them and nip them in the bud. You can even ignore them, in part or in whole. Since we’re working organically, herbicides (plant poisons) are not an option for us, but I’m including them for discussion sake. Scraping weeds away with a hoe eliminates them from sight, but it may not kill the roots and it invariable removes a layer of topsoil to a mound at the end of the row – a mound that will then need to be weeded and eventually restored to its original place or replaced altogether. Mulching and/or laying garden fabrics down works to some degree on all but the most stubborn weeds, but it can be costly and it’s not really eliminating the weeds. It’s just forcing them to work harder to find weak spots in whatever you laid down that they can penetrate, so all you’re doing is hiding and delaying their eventual emergence. Like mulching and garden fabrics, ignoring weeds isn’t eliminating them. Not even if you neatly mow them into little green pathways between plots of wanted plants. And no matter how you “manage” them, the weeds will rob your wanted plants of moisture, nutrients and can even choke them to death. Digging, I admit, has its own level of satisfaction. Shoving that spade or trowel point into the earth, prying the handle back and hearing the weed’s roots tear loose their grip on your precious topsoil … but I digress. For one, you’re going to lose a lot of the soil you dig up. Further, digging is often done for plants that don’t pull easily and come back no matter how many times you scrape them off. If they’re not pulling easily, chances are they have root systems that will benefit from any attempt to dig them. A good example is Johnson Grass. Another issue is the hole you left where you dug them out. In a bad storm, that hole can grow or even be a starting point for erosion. Poisoning with herbicides kills the weeds alright. And too often every other aspect of the eco-system around that weed bad or good. Ultimately, the weeding method really depends on the gardener. Me? I like getting rid of weeds once and for all, and my preferred method is to hand pull weeds out of moist soil. No gloves. No frills. No deadlines. I just start pulling in an area and keep pulling, section by section, until I’m either out of daylight or out of weeds. Something important I learned is to pull the weeds one at a time, grasping them at ground level right above the point the emerge from the soil. A (usually) gentle tug and voila … another weed bites the dust (so to speak). If I try to pull a group of weeds all at once, they usually only break off at the root. If I try to keep something between me and the weed (like gloves), I can’t really get a good hold on it or know for sure that I have hold of it at the spot that makes sure it will come out roots and all. Problems and worries are just life’s weeds. We all have them no matter how we grow or in what environment we live. And, like weeds, there are many ways we try to deal with them. We can scrape away at them, removing bits of ourselves in the process. Hiding them with an emotional mulch or fabric doesn’t seem like a good idea at all since they’ll undoubtedly fester and grow into much larger problems by the time they break through again. We can dig and dig at them, but we may not really be tackling the roots of the problem and stand to lose even more of ourselves than through scraping. And trying to poison (self-medicate) them out of existence is absolutely not the answer since life’s little weeds are never killed by those poisons; the only thing poisoned is ourselves. What I figured out while talking on the phone with my sister-in-law that day was that the best way to deal with life’s weeds is to tackle them one at a time, pulling them out so they’re gone once and for all. I do want to clarify something for the avid gardeners reading this. I will be mulching my gardens and crop beds. It helps keep the moisture in the soil, in some cases can actually help the wanted plants by adding key nutrients, and makes things look neater in general. But you wouldn’t put a nice clean carpet runner down on a dirty hall floor would you? Me neither!